In the wake of the guilty verdict in Conrad Murray's involuntary manslaughter trial, we found it appropriate to pair our love for the King with our love for fashion. Today, we're highlighting the styles Michael left us with, which will be staples in our wardrobe for years to come. 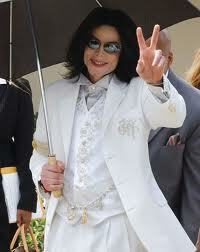 For these, we thank the "Man in the Mirror". 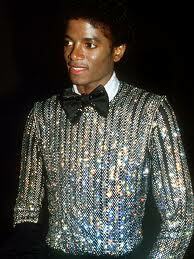 Michael started rocking these in the early 80s to complement shiny outfits. He made them cool for everyone--not just pilots. It's nothing to see a military-styled jacket on the scene these days. 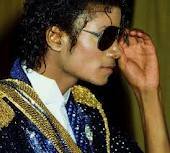 Because of the way MJ wore them in the 80s, we see them now showing up everywhere. 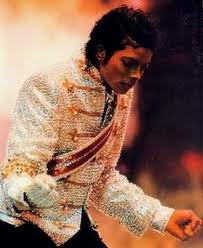 Speaking of shiny, no one wore sequins like Mike. 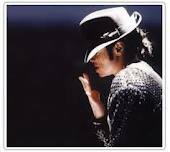 Whether his glove, socks, or jacket, his dance steps and voice weren't the only things lighting up the stage. Another fashion fave. This hat was borne fashion fame along with the Moonwalk on Motown 25, and we haven't looked back. You can jazz up almost any look with this haute hat. 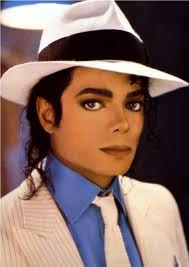 Smooth white, dapper red, hat-topped, or not-so-basic black, Michael Jackson had a way with making a suit just a bit more than 2 or 3 pieces. Michael Jackson took style to the next level his whole life....and his style lives on today. 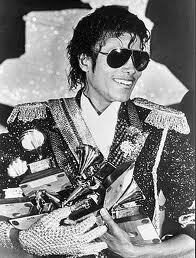 Rest in Peace, King of Pop.